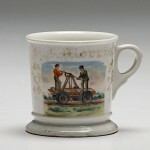 Occupational Shaving Mug for military officer “C. G. Stoney” showing him standing in front of a camp flying the American flag. 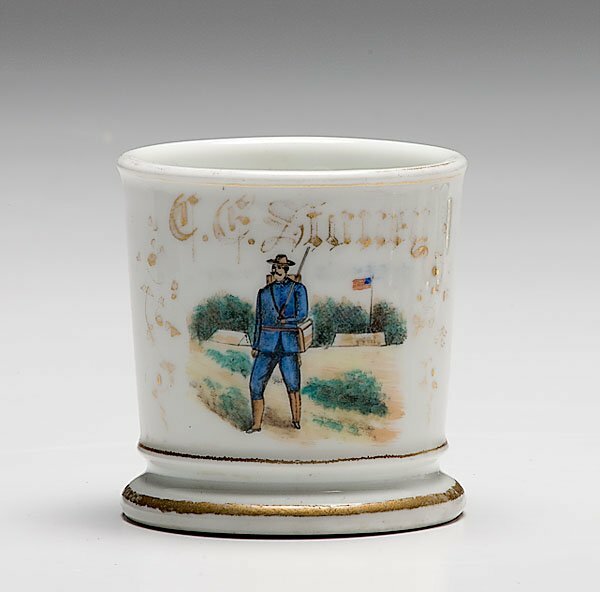 Porcelain, with polychrome painted scene, with Limoges maker’s mark.